Researchers at the California Institute of Technology have found a way to make mice see-through so that they may better study the animal’s anatomy. Fortunately, the rodents are not alive and will not be found in pet stores or running around your house anytime soon. 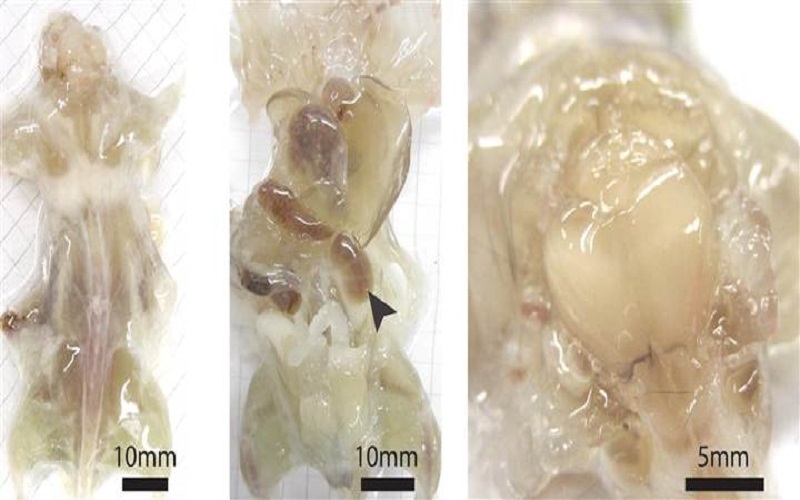 The see-through mice are dead in order to make it easier for researchers to study the inner working of the animal, specifically to see how disease move through the body. By studying these transparent rodents, researchers hope to one day get a better grasp on diseases in general, making it easier to create more effective cures for diseases in humans. Apparently, making the mice see-through was no easy task, the researchers have noted. The mice are first euthanized, and then have all their skin removed. After that, certain chemicals are pumped through their blood vessels, spinal cord, and brain passages. They then inject a detergent into the their circulatory system, making the animal’s organs transparent. The only thing not see-through are the bones of the mice, making the end result look like some type of disgusting gelatin with something lodged in the middle of it. Scientists have been trying to do this for years, apparently, as X-rays and MRI exams don’t provide results that are as detailed as researchers want them to be. This new discovery, the researchers note, is the first to make a mouse fully transparent.